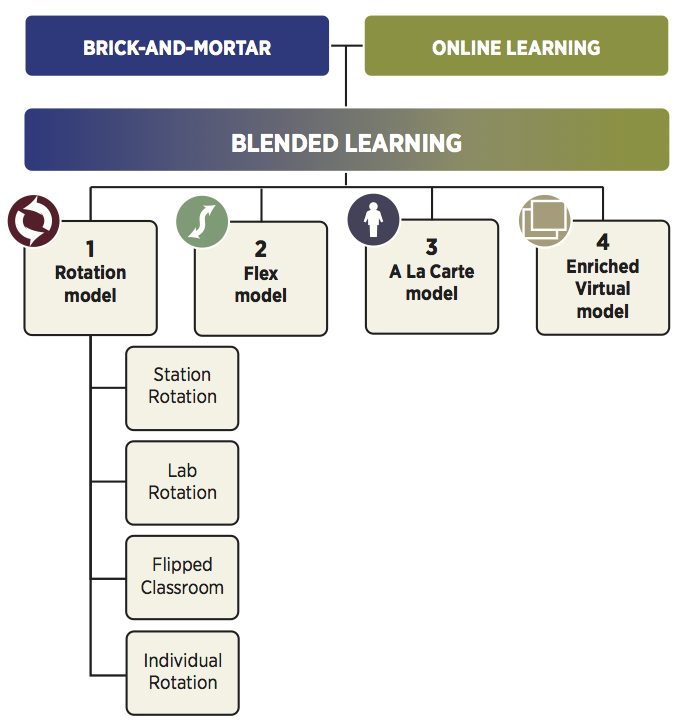 For a full overview on blended learning basics and models, visit the Blended Learning Universe, an online hub curated by the Christensen Institute. b. 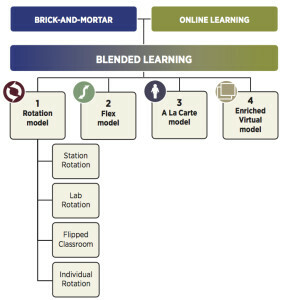 Lab Rotation — a course or subject in which students rotate to a computer lab for the online-learning station. c. Flipped Classroom — a course or subject in which students participate in online learning off-site in place of traditional homework and then attend the brick-and-mortar school for face-to-face, teacher-guided practice or projects. The primary delivery of content and instruction is online, which differentiates a Flipped Classroom from students who are merely doing homework practice online at night. d. Individual Rotation — a course or subject in which each student has an individualized playlist and does not necessarily rotate to each available station or modality. An algorithm or teacher(s) sets individual student schedules. Source: Michael B. Horn and Heather Staker, Blended: Using Disruptive Innovation to Improve Schools (San Francisco: Jossey-Bass, 2014).